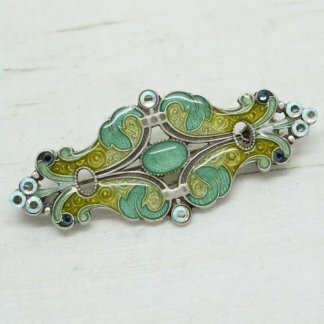 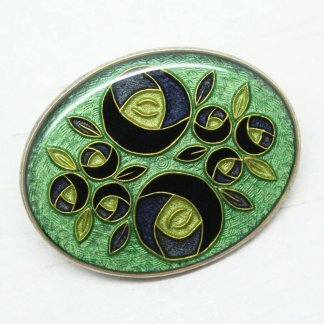 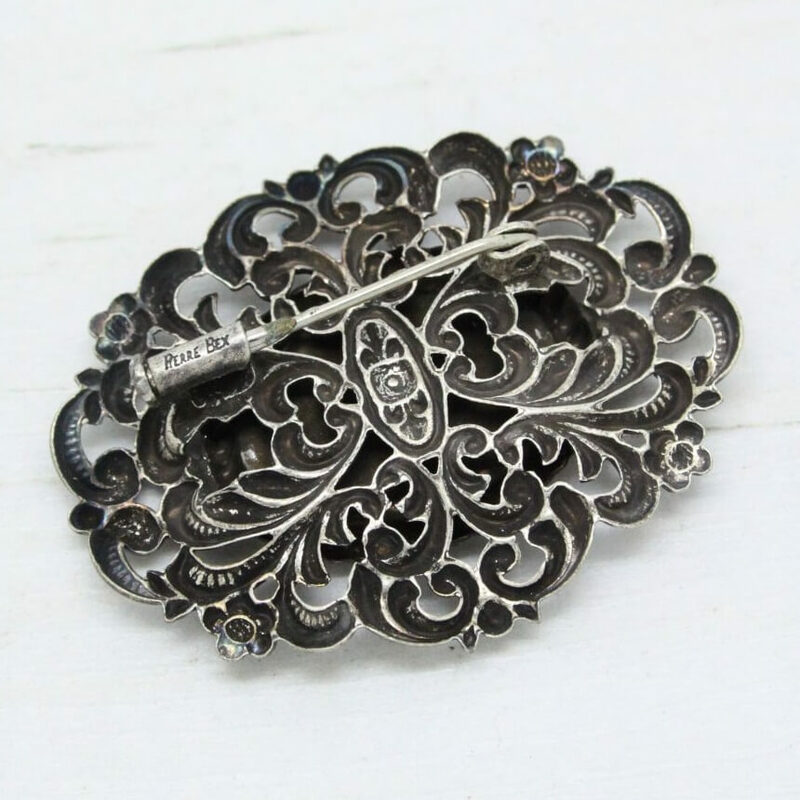 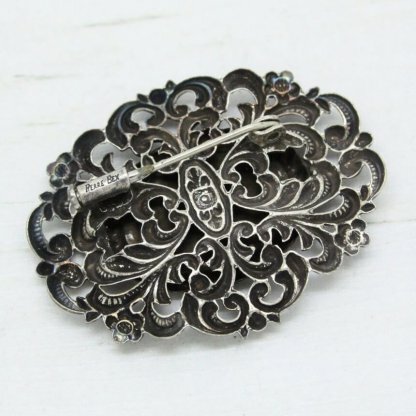 I’m happy to offer for sale this stunning fully signed Pierre Bex brooch. 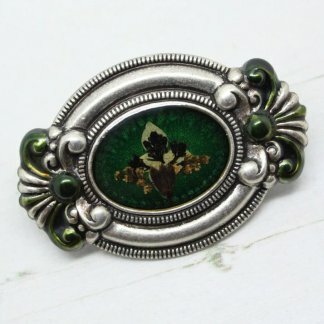 This unique piece measures 4.5cm at it’s widest point. 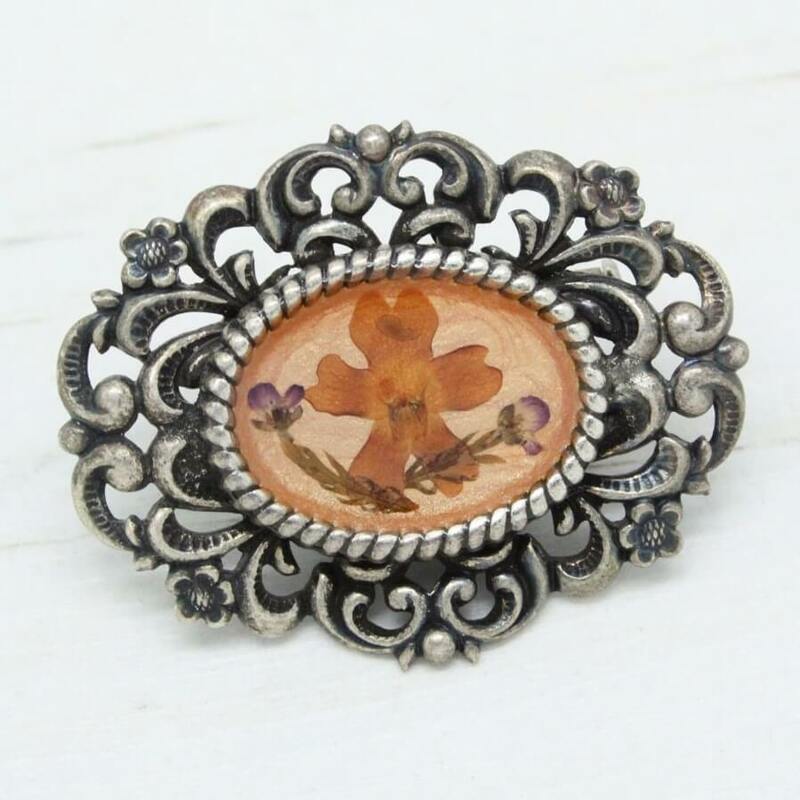 Featuring a stunning ornate filigree detailed frame with a hand-laid golden enamel centre and real dried flowers.